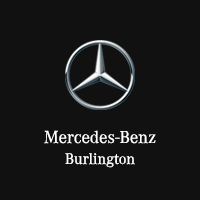 If you want to revel in luxury on the Hamilton roads without guzzling fuel, consider the fuel-efficient Mercedes-Benz models on sale now at Mercedes-Benz Burlington. Between the Mercedes-Benz GLA and the Mercedes-Benz GLE, you’ll be able to get a vehicle prepared for the Ontario roads while still achieving excellent fuel economy returns. Contact the dealership once you’ve narrowed your search, and we can arrange test drives and begin the financing process for you! Mercedes-Benz GLE: The Mercedes-Benz GLE 550e mates a 3.0L V6 biturbo engine to an 85 kW plug-in hybrid electric motor. Mercedes-Benz GLC: The Mercedes-Benz GLC 350e is a midsize SUV that pairs a 2.0L inline-four turbocharged engine with an 85kW electric motor. Ready to drive home in a luxury SUV? Explore our used Mercedes-Benz SUV inventory as well!